At OneTeacher, we believe in the power of one teacher. We are ever-in-awe of the impact that one teacher can have on our students and their communities. We also know how crucial excellent school leaders, principals and administrators are to the success of their school communities, and we work tirelessly to ensure that our schools have the principals and leaders they need as well. 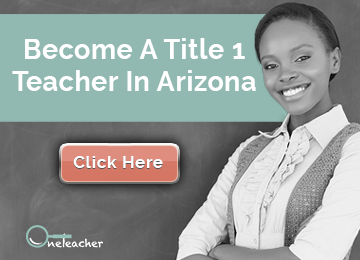 By deeply understanding the needs of our applicants and the needs of our partner schools, the matchmakers at OneTeacher connect educators to achievement-focused, Title I schools that are a great fit for them. We partner with schools that will hire and support high-quality teachers and administrators so that all of Arizona’s students receive the excellent education they deserve. OneTeacher doesn’t just do staffing, we’re matchmakers who get to know our partner schools at a deep level and help candidates desiring to work in Title I schools to make a difference for our students in low-income communities. Erin Tobin grew up in a working-class village of Detroit, Michigan where she struggled with the reality that some lives were forever altered by the opportunity to have a great education while others were held back because of circumstance. Through her work as a teacher in Title I schools, Teach For America corps member, a student in ASU’s College of Public Service & Community Solutions, and her training alongside teachers, school leaders, and community members, Erin resolved that what matters most for our students in Title I schools is not programs or policy, but people, the dedicated adults in their lives supporting them every single day. With this belief, she founded OneTeacher, an organization that partners with achievement-focused Title I schools to support their “perfect match” with amazing and aspiring teachers. Her goal, every day, is to ensure that amazing teachers are the ones teaching our students, so all students can have an excellent education that will set them on a path to opportunity and options for their future. Nina Glatt Tinsley grew up in a small town in Vermont where she was fortunate to have an extensive string of life-changing teachers. These educators were willing to go above and beyond for their students and in many cases were like family to Nina. Upon graduating, she joined Teach For America in hopes of paying forward the warmth, compassion, and tough love that so many of her teachers showed her. Nina taught middle school math and English in West Phoenix while earning her Master’s degree in secondary education from Arizona State University. She then taught 9th, 10th, 11th and 12th grade English at an all-girls charter school where she took over for a teacher who resigned mid-year, further strengthening her understanding of both the positive and negative impact that teachers can have. 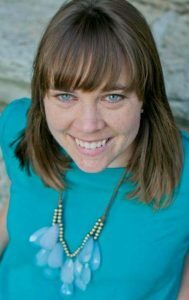 After teaching, Nina earned her certification as a Real Time Teacher Coach, helping other educators improve their classroom culture and engagement through the use of real-time feedback. As someone who benefitted so greatly from having incredible educators in her life and who was also lucky enough to get to know hundreds of middle and high school students as a teacher herself, Nina has a deep-seeded belief that having a “whatever it takes” teacher matters. 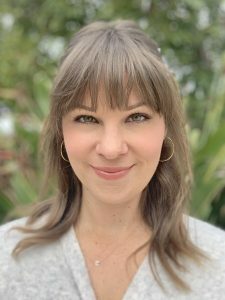 Now, as the Senior Director of Marketing and Development at OneTeacher, Nina works to ensure that students in Arizona have their own strings of life-changing teachers so that education opens doors for all students, not just some. Robin Dowdle grew up in Bakersfield, California in a community where excellent education opportunities were not abundant. She was very fortunate to have incredible educators who believed in her and encouraged her love of learning. She excelled in her high school, graduating at the top of her class of more than 400 students. And, yet, arriving at UCLA’s campus as a freshman, it became very apparent to her that the public school education she had received was quite sub-par to the private education of her upper-class peers. During her four years in college, Robin had the opportunity to volunteer at the UCLA Lab School in a 5-7 year old classroom. This unique school located on UCLA’s campus brings an incredibly diverse (racially, economically, gender, ethnicity, geography, language, and more) group of students to learn in a rich environment. This experience gave Robin the opportunity to see firsthand that all students can achieve if held to high expectations and provided the educational tools and opportunities to learn. She took this experience as fuel for justice and joined Teach For America, teaching middle school in South Philadelphia where her passion was further ignited seeing the tremendous potential and brilliance of her students. Following her experience teaching, she joined staff with Teach For America where she spent the next 7 years working on the Teacher Support and Development team. During her time in the classroom and in her roles supporting and coaching teachers, her belief in the power of “one teacher” was further cemented. Few jobs provide you an opportunity to shape the trajectory of a child’s life like the chance to teach children. It’s for this reason that Robin is honored to be the newest member of the OneTeacher team. 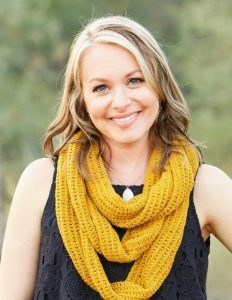 Lindsay Doell grew up in Phoenix, Arizona, where she was inspired by incredible teachers throughout her education. As a student at the University of Arizona, she had the opportunity to work as a Peer Advisor for incoming first-generation college students. These students were incredibly gifted, having excelled in their respective high schools, and yet, many of them were struggling in their introductory college courses. Seeing the consequences of educational inequity in action fueled Lindsay’s desire to be a part of the solution, and she joined Teach For America after graduation. 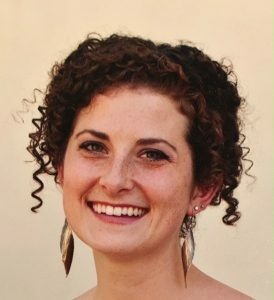 Lindsay taught 5th grade in Los Angeles while earning her Master’s degree in elementary education at Loyola Marymount University. Following her teaching experience, she joined staff with Teach For America. She first served as a Program Director, a role in which she supported new teachers in developing and honing their skills. 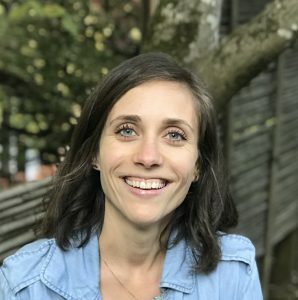 She then transitioned onto the Teacher Support and Development Team, where she helped develop better ways for staff to create, share, and use organizational knowledge, allowing teachers to have easy access to an abundance of tools and resources that would help them to increase their impact in the classroom. Lindsay believes deeply that the “perfect match” between effective teachers and achievement-focused Title I schools can lead to incredible educational outcomes for all students, allowing them the opportunity to reach their full potential and achieve their dreams. She is honored to be a part of OneTeacher’s work to ensure students in Arizona have access to amazing educators and an excellent education. Maddie Conway grew up in Minneapolis, Minnesota where she had access to a high quality education in some of the city’s best public schools. However, she noticed that students in her high school’s International Baccalaureate program were receiving a drastically different education from students in other programs in the same school building. After high school, Maddie attended the University of Puget Sound, where she once again saw the disparity between educational outcomes for students in Tacoma. Maddie studied history and psychology, and her passion for education was further ignited during her senior year when she was an Occupational Therapy intern in the local public schools. Once again she saw the impact that factors like location and socio-economic status had on the type of education students received. Determined to work to end this opportunity gap, Maddie joined Teach For America and taught middle school special education in rural New Mexico before joining Teach For America staff in her hometown of Minneapolis. Maddie supported the work of the executive director and then worked with the development team to grow the region’s capacity before returning to the classroom in Oregon as a K-5 special education teacher at a Title I school. In her four years of teaching and two years of supporting teacher-leaders, Maddie has been continually inspired by the work phenomenal teachers are doing everyday. It is this trajectory-changing work of excellent teachers that makes Maddie thrilled to join the OneTeacher team.